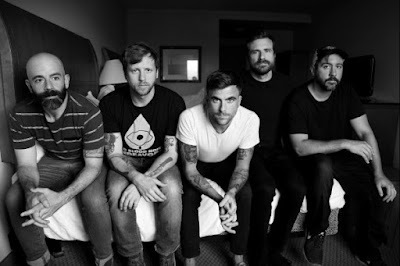 Psych-punk pioneers Circa Survive released their adventurous sixth full-length, "The Amulet", last year on Hopeless Records, and have been touring tirelessly ever since. Now the band have announced "The Amulet" (Deluxe), due out November 2nd, and shared "Dark Pools" one of the brand new tracks from the expanded album. About “Dark Pools,” vocalist Anthony Green said, “I usually stay away from speaking too much about song meanings but I wanted to say that Dark Pools is for anyone who feels overwhelmed and marginalized right now. It might be from society or lawmakers to even your own family. Writing and sharing it has been such a healing experience and I hope to share some of those feelings with all of you. Thanks for listening. Defend our beautiful form".